Google Adsense is biggest advertisement program in the world so to get work with it is a great work so here's some information site policy to get approval from it. Every new blogger and every new website developer know that making website or making blog is very simple but it's very hard to earn money from them because AdSense approval is not so easy for an new site or blog. If you are a new blogger and applying for AdSense approval and not able to get AdSense approval on your blog then I will suggest you to follow some of these steps to get instant approval of AdSense because below written steps are suggested by Google AdSense. As we all know that Google AdSense is very popular advertisement company so there was a lot of terms and condition for working with Google AdSense. please read all the terms and conditions before using Google AdSense advertisement platform. we also know that there are no other platform like Google AdSense to earn money so keep trying to get Google AdSense approval. 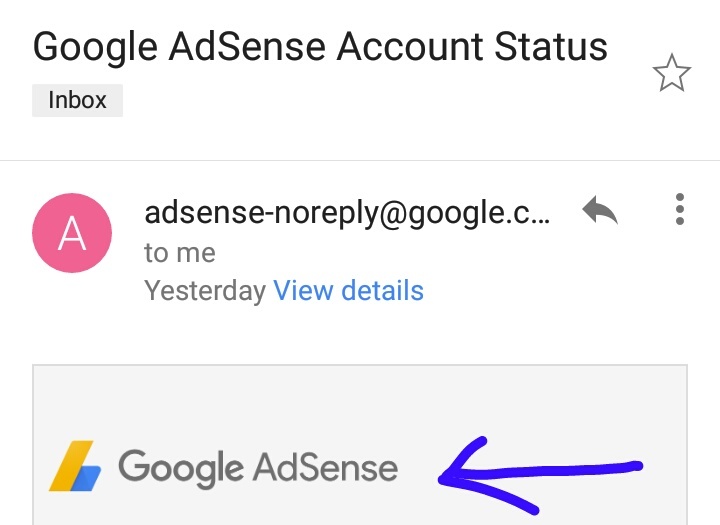 If you are also suffering from this approval of Google AdSense account then please follow these requirement and apply all of them into your blog or website because Google AdSense need some requirements before giving approval to any website below mention all steps was suggested by Google AdSense. 1. When you apply for a new blog or website for Google Adsense . Google firstly see your website design for your theme because Google one that ads which were placed on your site were perfect for visitors so they check your website quality before giving approval If you are using and low level theme or you don't have manage your site pages please manage them before applying for Google AdSense. 2. Word count in every post is second most important thing to be followed to get Google AdSense approval if you are writing your posts with word count of 100 then this is note and sufficient count of words. to get Google AdSense approval you must have to write about 300 to 400 in every post because Google AdSense only give approval to them who have sufficient content on his website. 3. Google AdSense don't approve those blogs who have only images or videos in a blog post. Google ads need some text and some links in every post to manage advertiser's. if you are running a blog with only images and videos then please write some text in each post to be eligible to get Google AdSense approval. 4.google adsense notice all site information before giving approval to any site. at First they were notice on site domain name and then after they view all website data for privacy and security of advertisers respect. For getting adsense approval you need an top level domain name. And if possible make a self hosted website for more approval chances(without blogger). Your website must be of 1-2 month old for more trust. Suppose that you start a blog today and tomorrow you apply for adsense. In this condition your application definitely disapproved. To get approval from Google AdSense wait for 2 months and then apply for it because at that time your site have sufficient data and text to display ads. 6. This step is important but not must because sometimes this make them agree to approve your website. It's visitors count on your blog or website. If you have a large visitors count on your website then google Adsense approve your website without any hesitation. So keep trying to get ranked on google and after success apply for google Adsense and make money. 7. Make sure that your site is properly working and published on webs before applying for Google AdSense. they don't approve any under construction site or site who is in his beta form.